The President held a meeting with Mr Dangote at State House yesterday following weeks of media speculation over the future of the business mogul’s multi-billion shilling factory in the country. President John Magufuli has accused “middlemen” of attempting to ruin the government’s business relations with Africa’s wealthiest man, Nigerian Aliko Dangote, the proprietor of Dangote Cement factory in Mtwara. Contrary to reports of strained relations between the two parties, Dr Magufuli assured the businessman that his government would continue to create an enabling environment to allow him conduct his activities in the country more effectively. However, the President told Mr Dangote to talk to government officials directly and not deal brokers, should he encounter any problem in his investment in the country. "If you want any information, or if you encounter any stumbling block, communicate with government officials instead of going to people who seek to benefit themselves through mischief,” a statement from State House quoting Dr Magufuli noted. The President said when the Nigerian businessman was looking for a piece of land to construct a jetty, but some people tried to take advantage and offered him a plot for an unrealistic price of Sh43 billion. He also advised Mr Dangote that he need not use middlemen if he wants to buy gas, but should go directly to the Tanzania Petroleum Development Corporation (TPDC). Last week, TPDC acting managing director Kapuulya Musomba denied allegations that the State firm was to blame for the high production costs at the Dangote Cement factory. TPDC had reportedly offered Dangote an expensive deal for the purchase of natural gas. But Mr Musomba said the purchase agreement between the two was only signed in October this year. It indicates that TPDC would start selling gas with effect from February 2017. “It’s not true that TPDC is to blame for the slowdown or stoppage of production at Dangote Cement factory because there has never been any contractual relationship between the two in the past. The agreement has just been signed in October,” he noted. Over the past few weeks, relations between the government and Dangote Industries Tanzania Ltd seemed to be worsening amid reports that the cement factory had been pushed into halting production due to high energy costs. There were growing fears that the trouble bedeviling operations of the factory could derail the mega plant and blot the country’s attractiveness as an investment destination. The $500 million (Sh1 trillion) investment by Africa’s richest businessman was commissioned in October 2015 amid pomp and ceremony, but high operational costs associated mainly with overdependence on diesel have led to a slow down on production since the beginning of the last quarter of this year, and a complete halt two weeks ago. The factory’s management cited “non-critical, technical issues” as the reason for suspending production but high-placed, impeccable sources from within the government and in the Dangote Industries Tanzania Limited say there was more than meets the eye. In the midst of it all, reports emerged that the Dangote Cement investment had found itself in the middle of fierce political crosswinds pitting key members of the current administration and those from the immediate past government over unclear matters. The State House quoted Mr Dangote as saying he was surprised by some media reports suggesting that he was going to shut down the factory because the government had reportedly barred him from importing coal from South Africa. Mr Dangote said there was no point in him importing coal from South Africa when he could easily and cheaply access it in the country. And to show his commitment to the investment, Mr Dangote announced yesterday that he had imported 600 new lorries to enhance the distribution of his cement in the country. 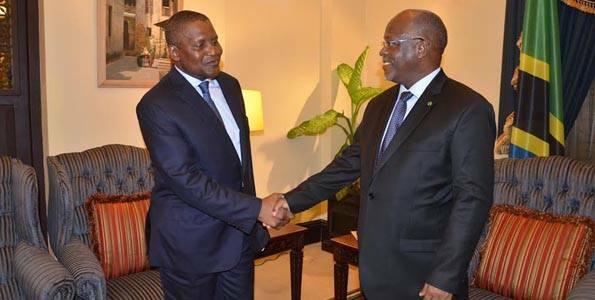 The statement said Mr Dangote assured Dr Magufuli that his company was determined to help the government create more jobs. 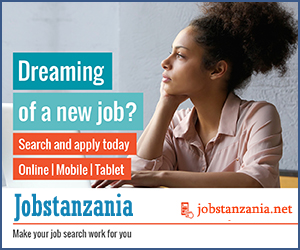 He dismissed reports he was planning to shift his investment from the country, but instead was looking for more opportunities in Tanzania. The Dangote Cement was among the first petro-chemical industries built in Mtwara to take advantage of cheap natural gas which is fired as a main fuel in the production process. But the Dangote factory has not been able to utilise natural gas for its fuel needs one year after the commissioning of the plant. Sources within the firm also said the investor had been highly frustrated by the government apparent unwillingness to help him access cheap fuel, either from natural gas, available a few kilometres from the factory or cheap coal imported from South Africa. The Dangote Cement management has openly complained about the failure to access the natural gas. The firm’s chief executive officer, Mr Harpreet Duggal, told a visiting CCM delegation in October 26 this year that the failure by authorities to facilitate the supply of cheap natural gas to the factory has led to skyrocketing fuel costs. He said the factory was now forced to use six million litres of diesel per month, which is equivalent to Sh10 billion, according to estimates by The Citizen, which would make Dangote Cement unable to break even in the foreseeable future.